Metal Music Manual shows you the creative and technical processes involved in producing contemporary heavy music for maximum sonic impact. From pre-production to final mastered product, and fundamental concepts to advanced production techniques, this book contains a world of invaluable practical information. 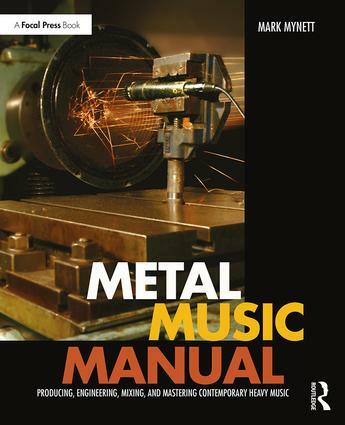 Assisted by clear discussion of critical audio principles and theory, and a comprehensive array of illustrations, photos, and screen grabs, Metal Music Manual is the essential guide to achieving professional production standards.